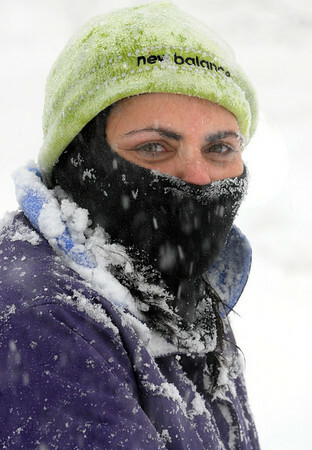 Jessica Evans of Danvers, is snow encrusted. She was snowblowing the snow at her home so she could get out to a job interview in the afternoon which was still on despite the snowstorm. Photo by Ken Yuszkus/Salem News, Wednesday, January 13, 2011.